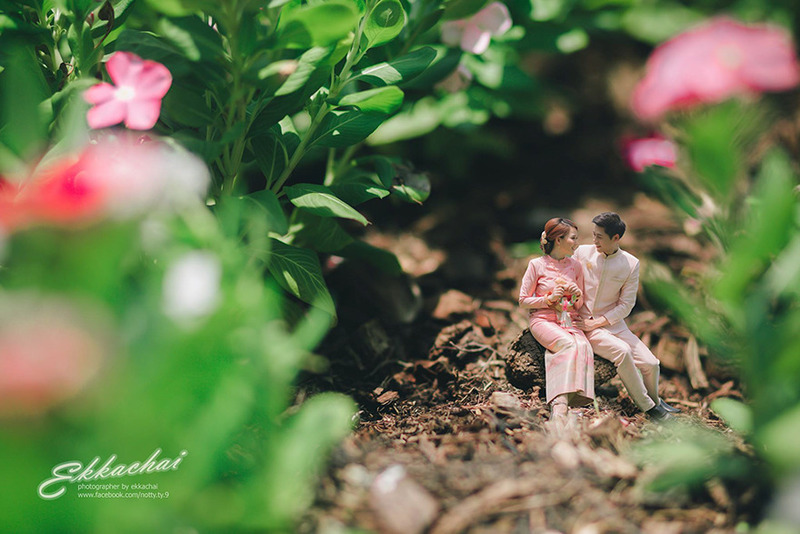 Ekkachai Saelow is a Thai wedding photographer who doesn’t just believe in capturing the finer details of his subjects – he actually turns his subjects into the finer details! 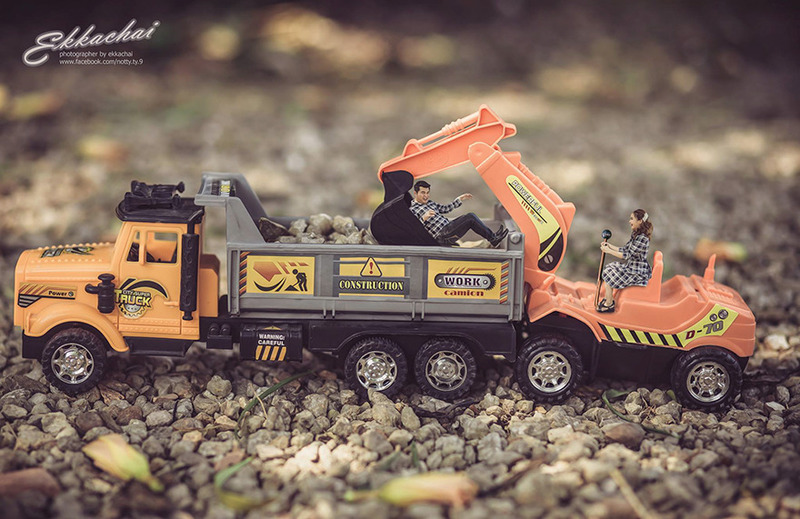 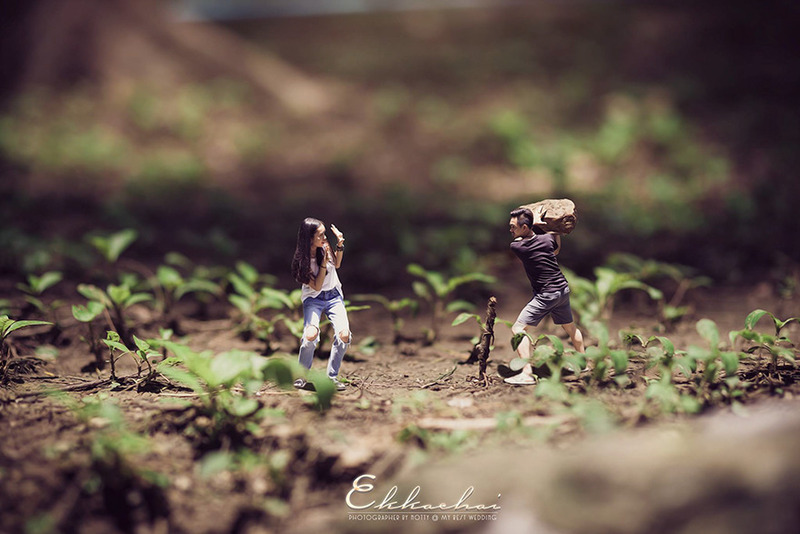 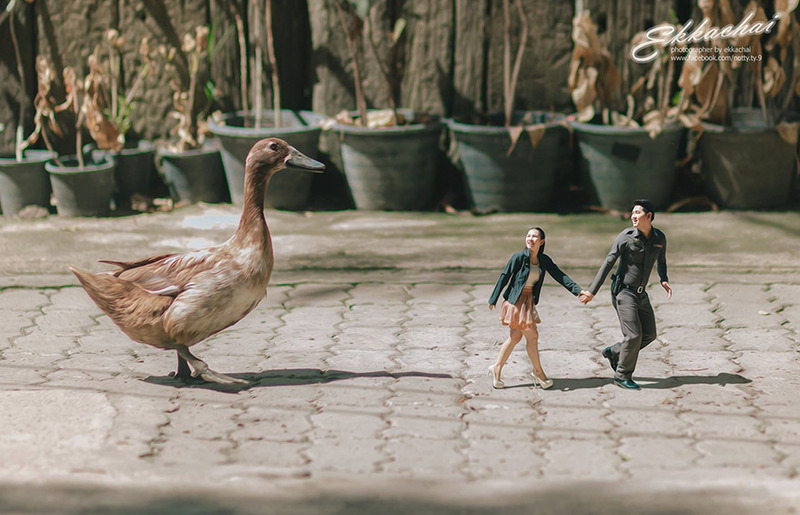 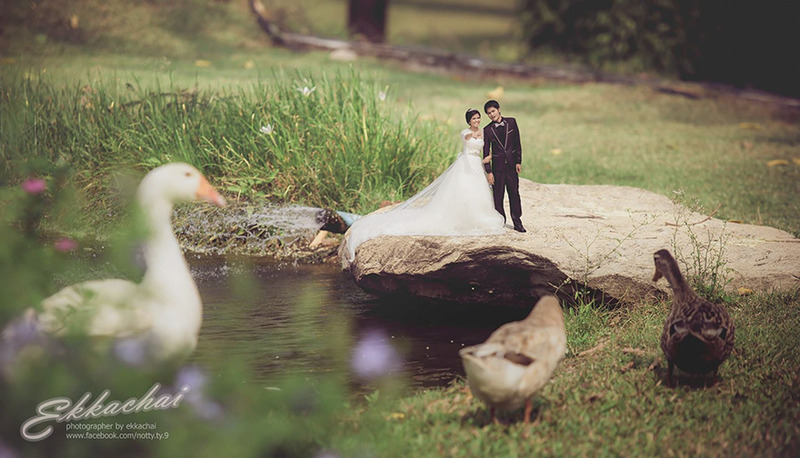 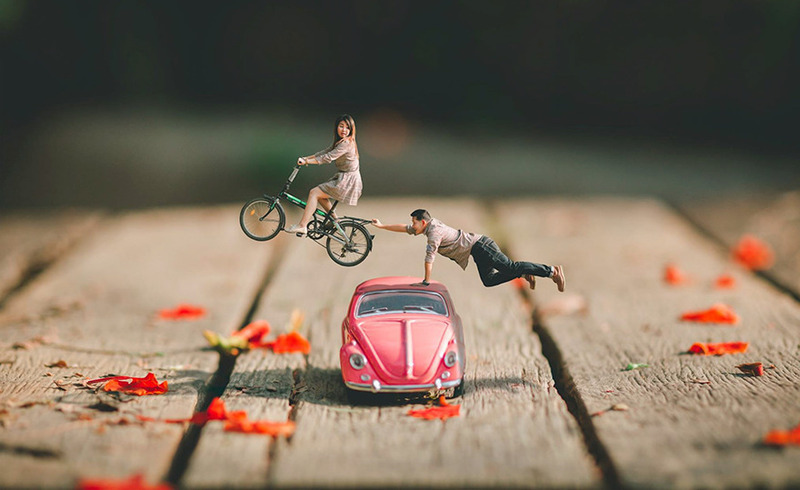 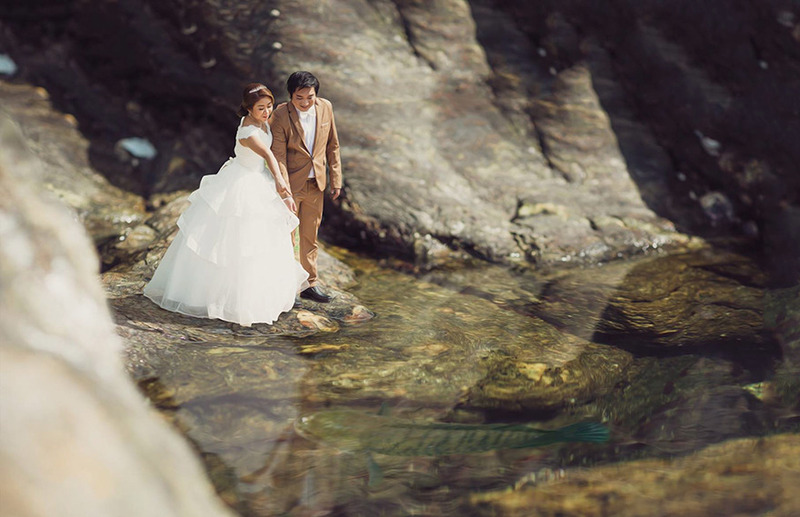 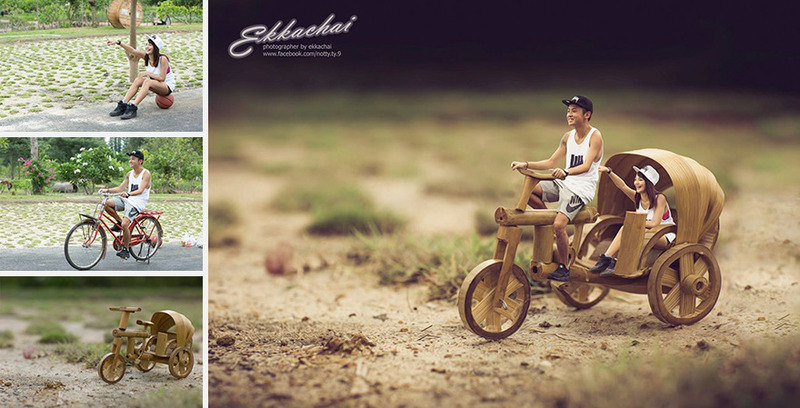 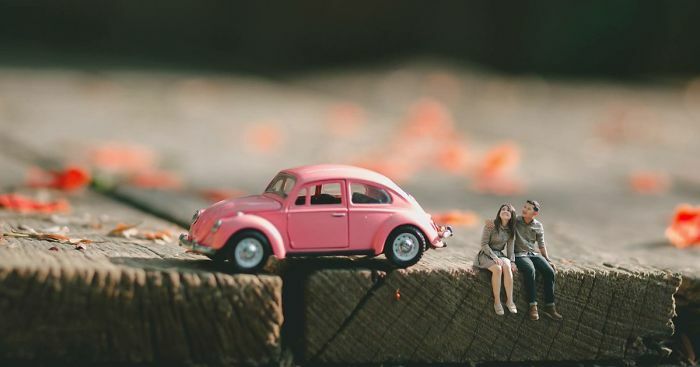 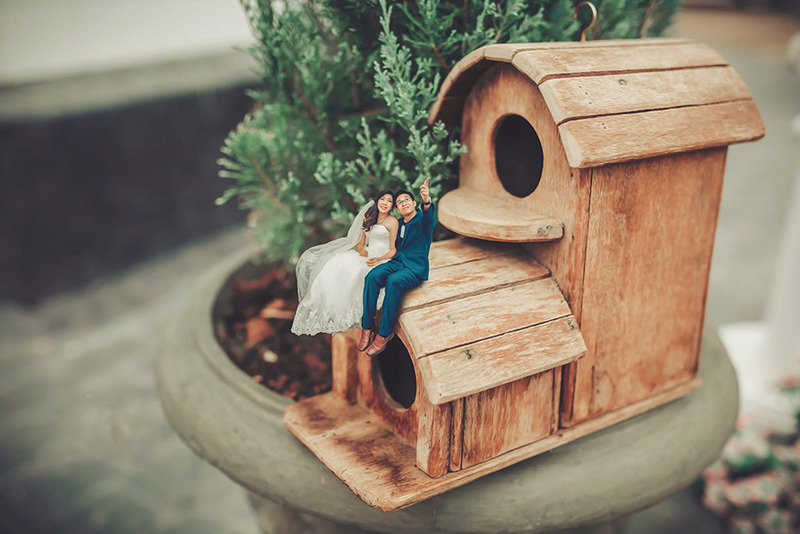 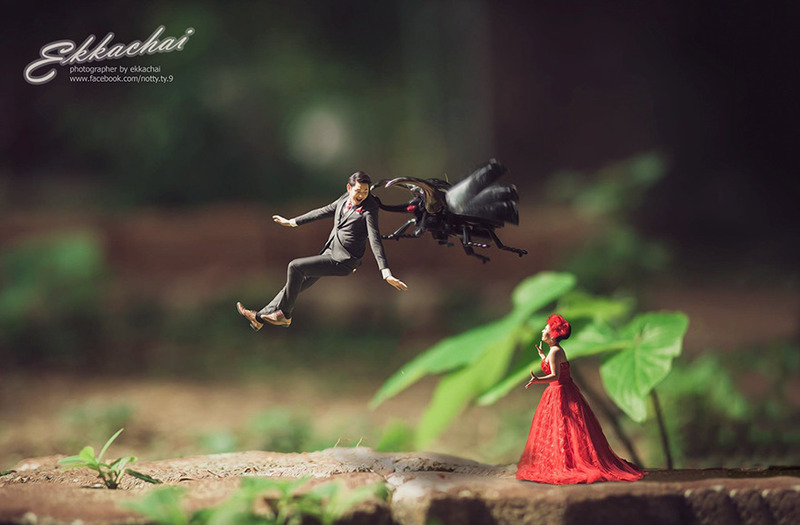 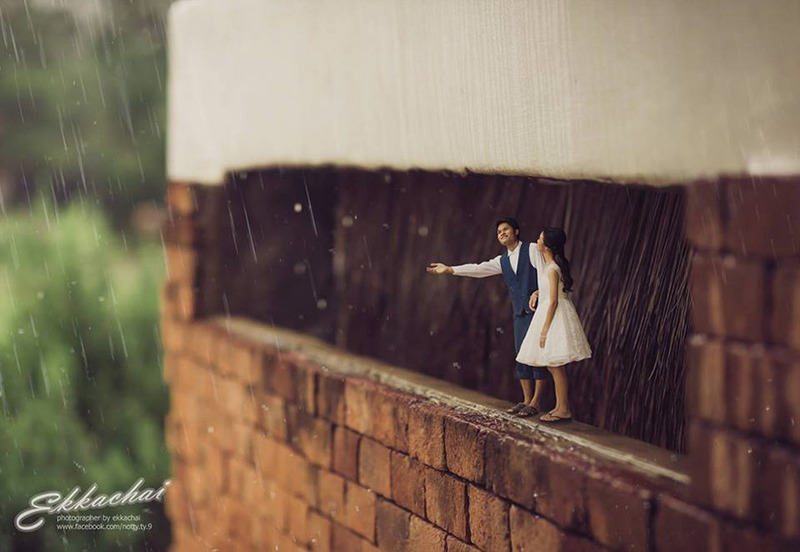 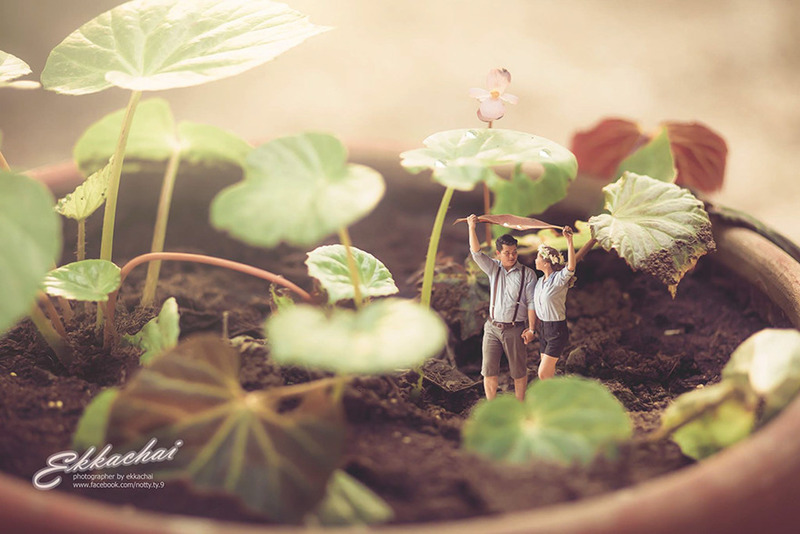 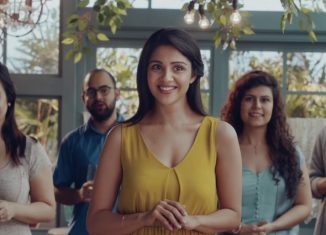 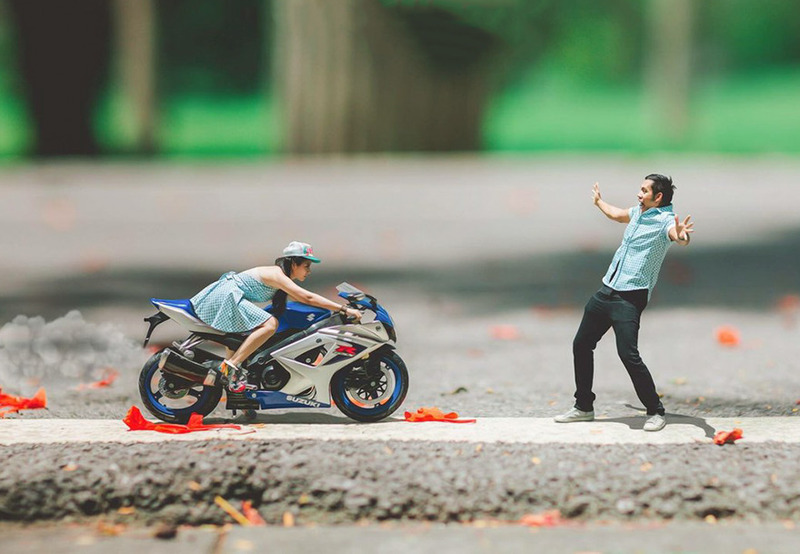 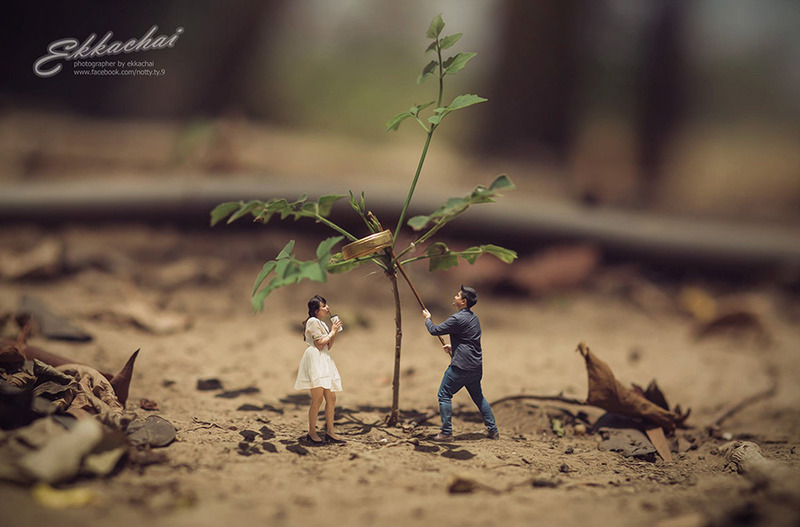 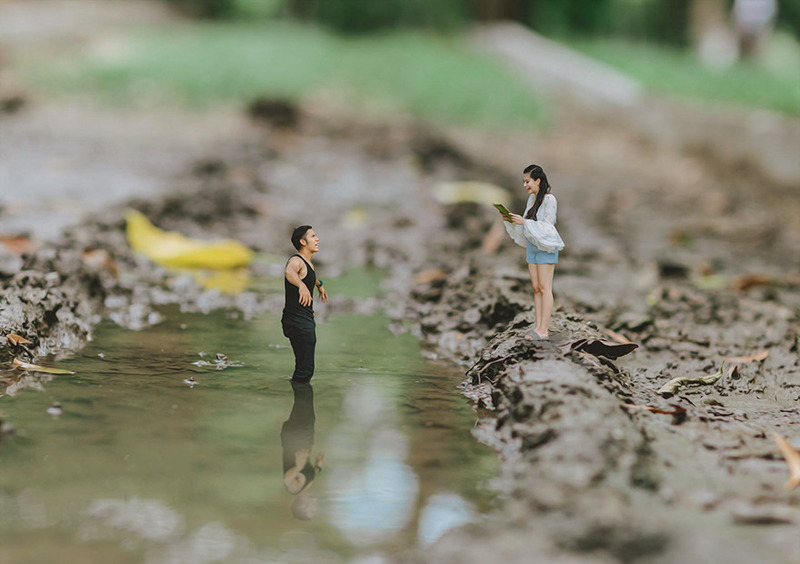 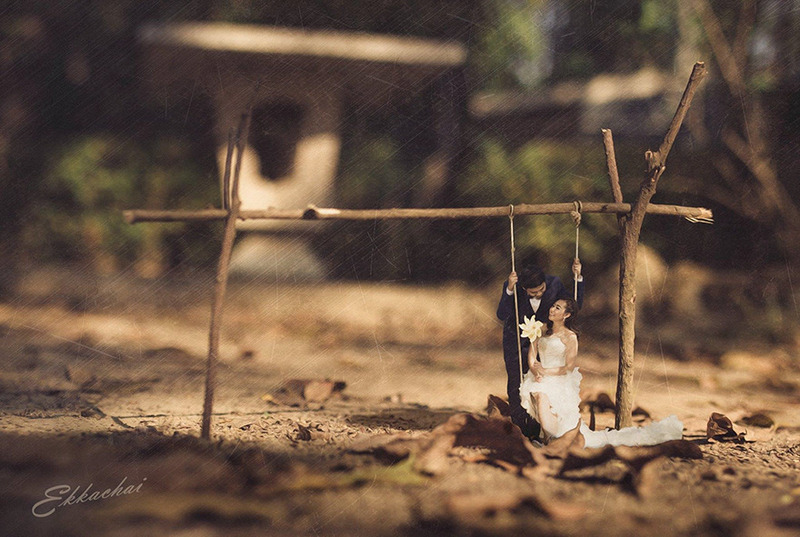 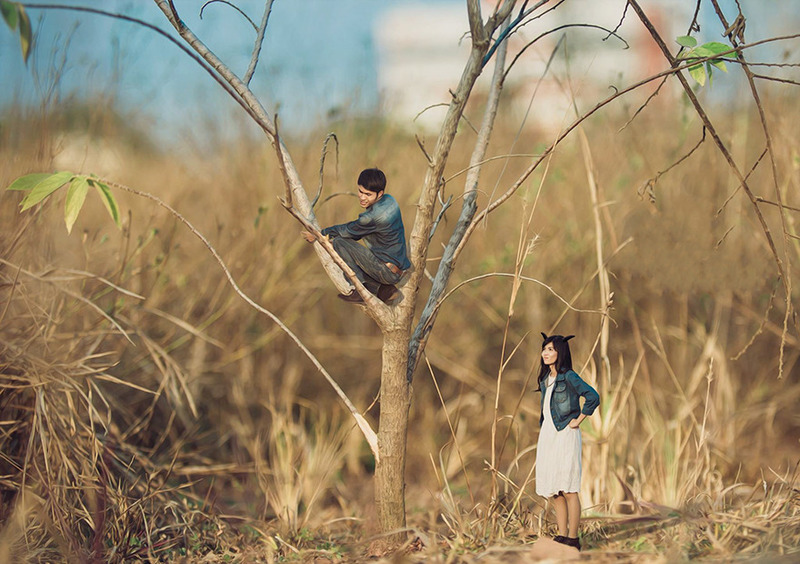 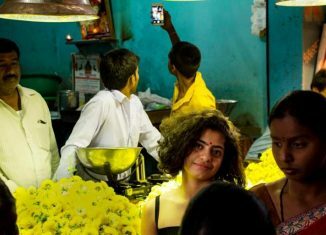 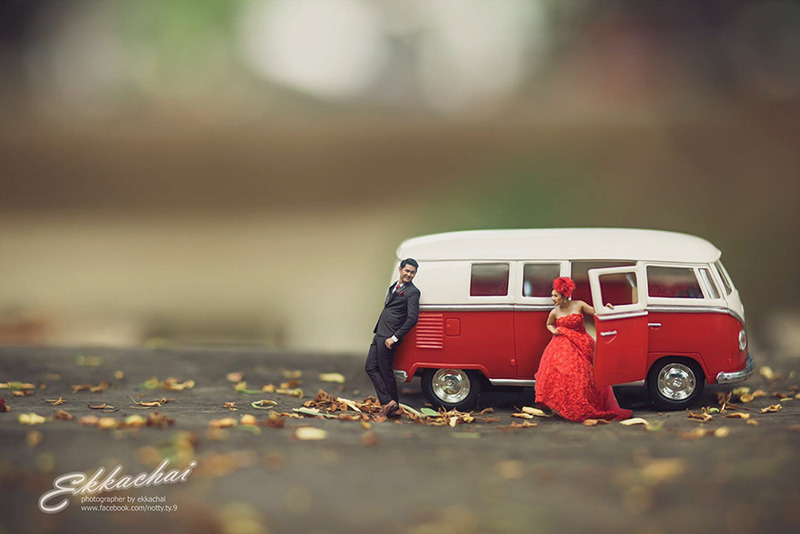 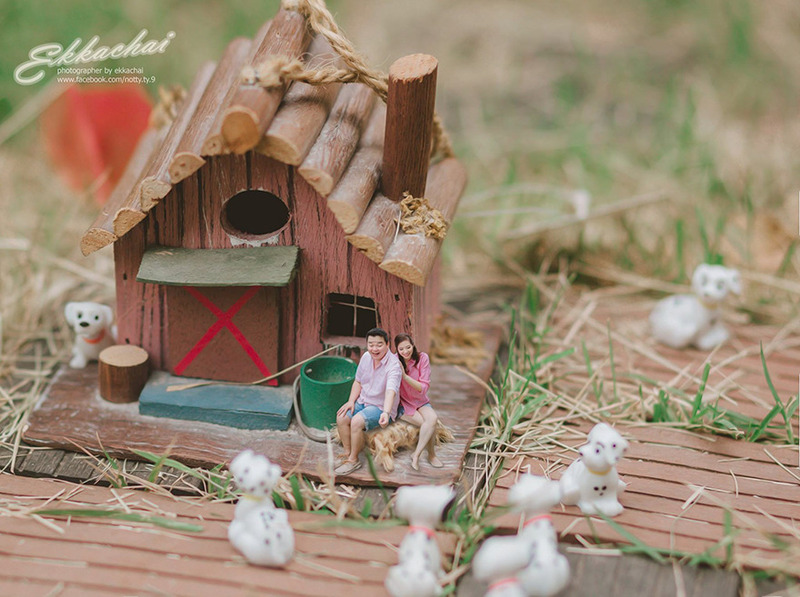 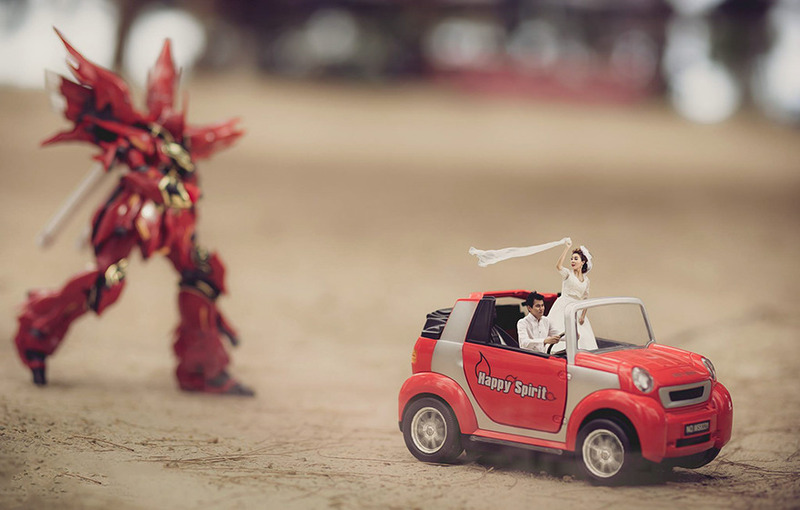 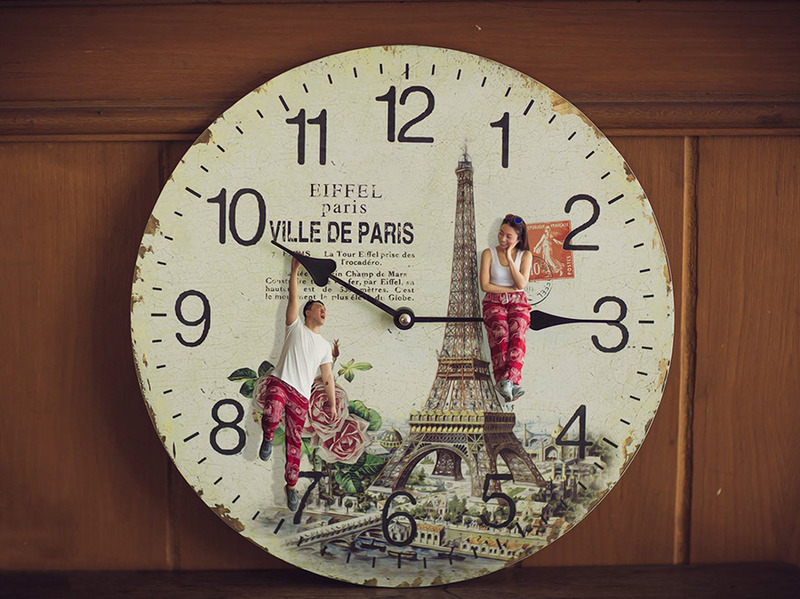 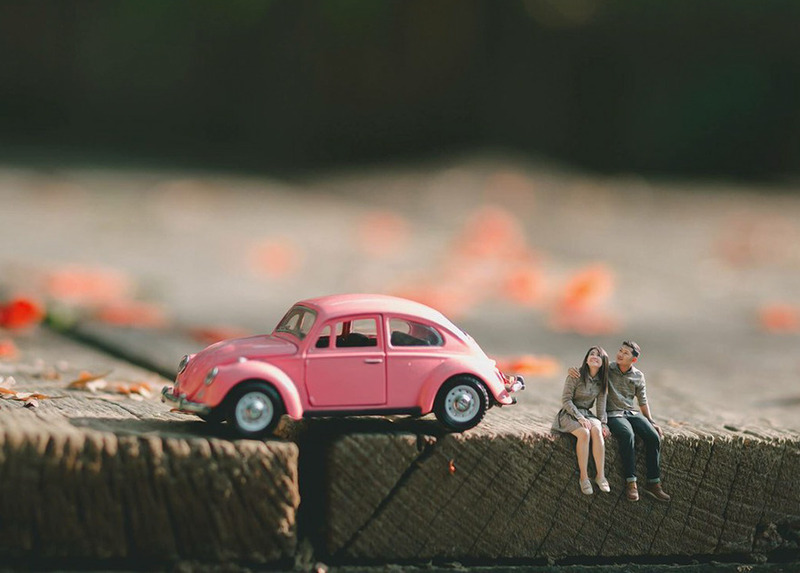 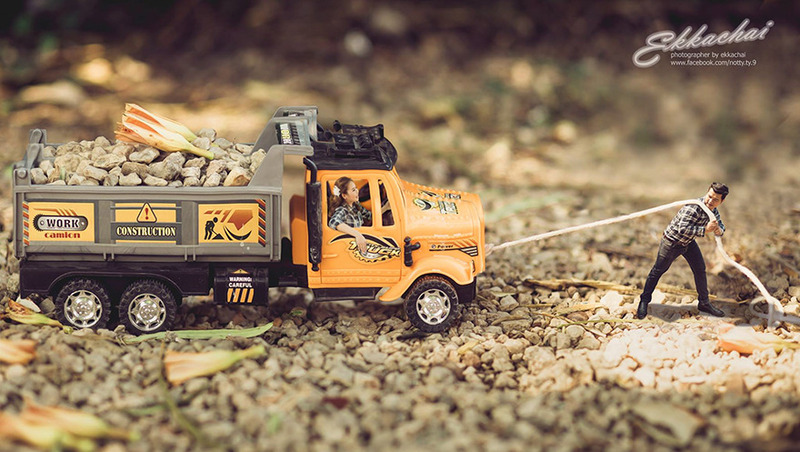 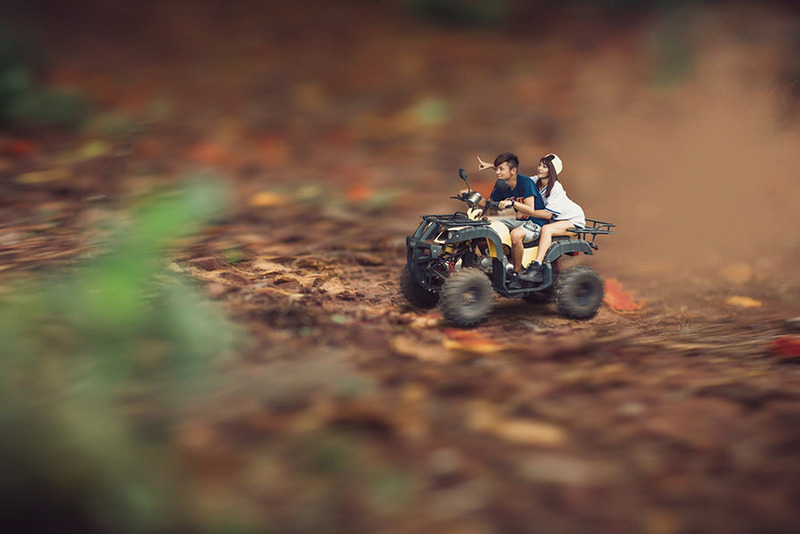 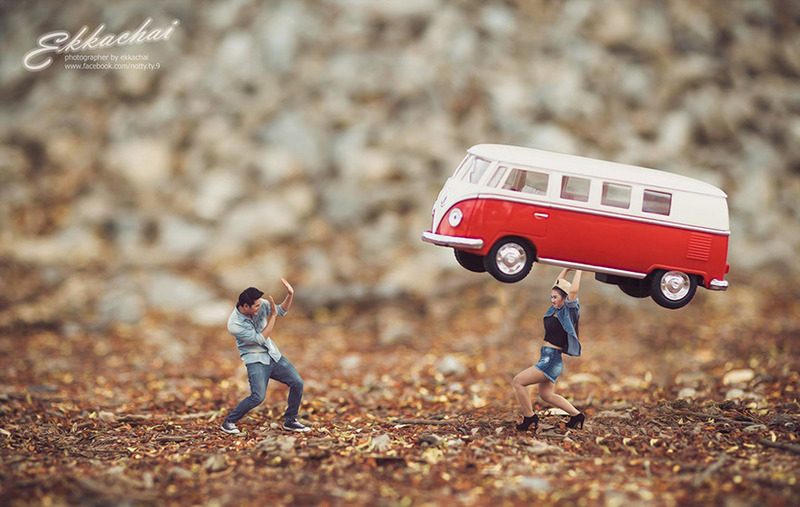 Ekkachai’s photography business literally translates as “Small Person,” and he specializes in turning happy couples into miniature inhabitants of over-sized worlds. 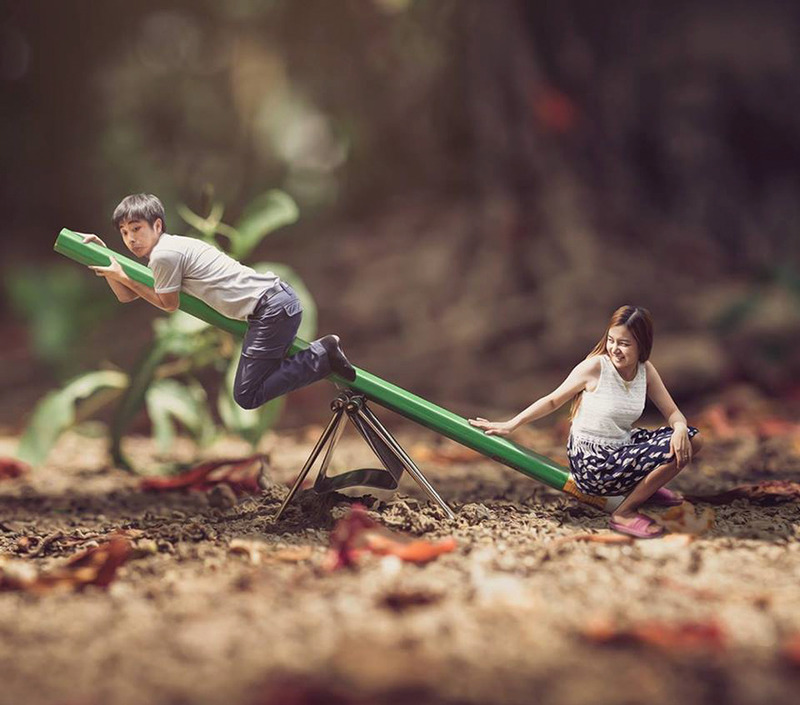 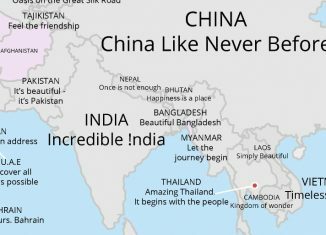 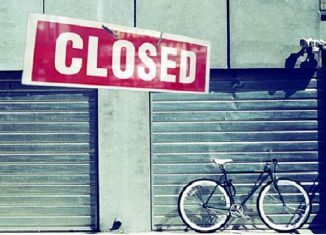 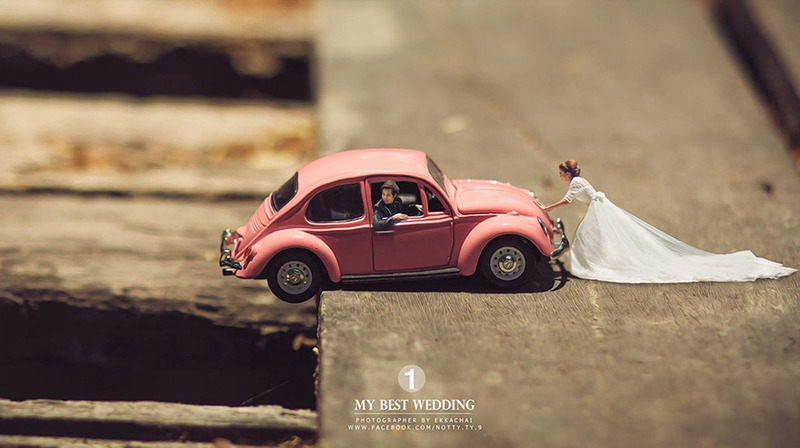 He does this by cutting his clients out of their original pictures and inserting them into a small scale environment before applying an effect known as tilt-shift photography in order to give them that miniature macro look. 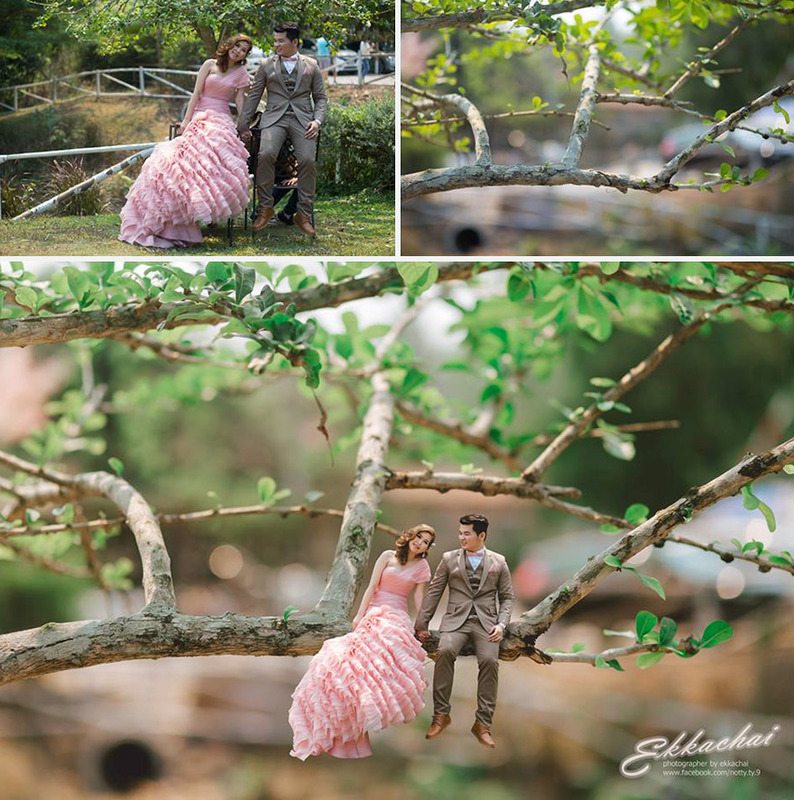 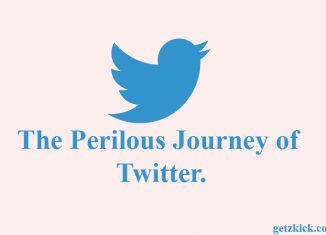 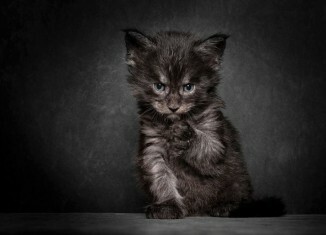 And as you can see from these pictures, the end result is as sweet as it is surreal, and as simple as it is stunning.